Crying gives your baby a way to call for help when hungry, cold, or uncomfortable. Fussy periods often increase in length and intensity during the first six weeks of life and then gradually decrease, usually disappearing by four months of age. When your baby cries, try to meet the most pressing needs first. If nothing seems to calm your baby, it is safe to put your baby in their crib while you take a break and ask for help. It is never safe to shake, throw, hit, slam, or jerk any child. 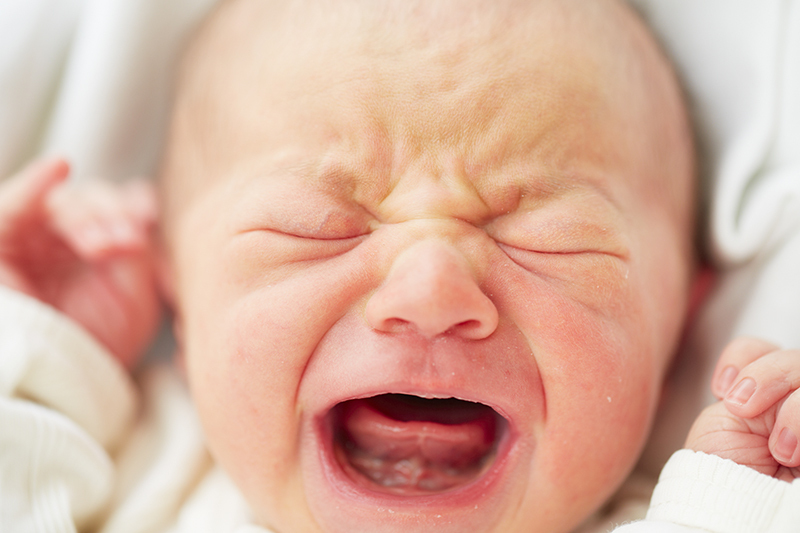 If your child appears ill or if you’ve “had it” with colic, please call your pediatrician. The link below has some tips on how to calm a crying baby.